Many new anglers set out with their minds set on the gear they’ll want. However, sometimes it takes a bit of time to learn what they really need. 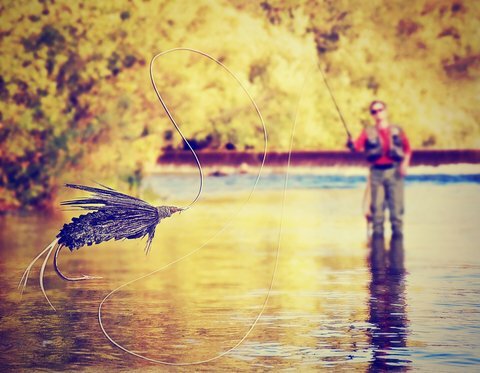 I’ve spent some time on the river, as well as more than a few years sharing stories and advice with seasoned fly anglers, and believe me when I say that more often than not it’s the crucial gear that goes overlooked. It may seem like a no-brainer, but you’d be surprised at how many anglers hit the river without a reliable multi-tool on hand. Make sure your tool has scissors, though. You can turn a dry fly into an emerger or spinner with just a few snips and cuts, so scissors will be a Godsend. Quality multi-tools, such as the Wingman by Leatherman, are ideal for fixing fly reels with a screwdriver, using the file to hone flies, and its stainless steel construction holds up nicely against fishing conditions. Shake & Flote is a floatant that can be used to pre-treat a dry fly. However, where it excels when other floatants fail is that it draws the moisture right out of a wet fly and then re-coats it with a fresh layer of hydrophilic dry silicone. Also, unlike float pastes, Shake & Flote won’t mat the hackles of a fly and is great for reuse with yarn strike indicators. Applied on your leader line, you can smear a bit of Strike Putty to track an emerger’s progress, or use a small chunk of putty as a strike indicator. Most anglers tend to use yarn for deeper waters, but for shallow fishing, small streams and when you’re fly fishing emergers, you’ll want to have a tub of Strike Putty on hand. Reading the water temperatures of your local stream can help predict hatches, find warmer water early in the season, and cooler water as the seasons get warmer. White River Fly Shop’s thermometer is a quality product that won’t break your bank. Furthermore, it’s housed in a durable metal casing to hold up against harsh conditions. Don’t leave on a fly fishing trip without one of these.